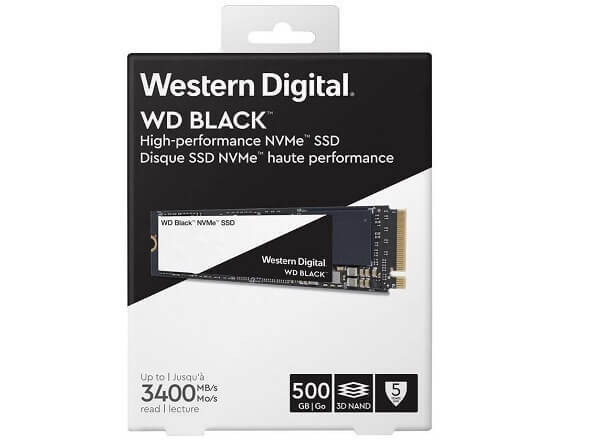 Western Digital has unveiled its new high-performance SSD that features the brand’s own SSD architecture and controller – the Western Digital WD Black 3D NVMe SSD. The new M.2 drive sports a new NVMe architecture and controller that optimally integrates with Western Digital 3D NAND. It eyes to maximize performance for NVMe SSDs with advanced power management, durability, and endurance. “Today’s gaming experience applications require increasing capability from their PCs, and this will only continue to advance. With our new architecture and controller, the Western Digital WD Black SSD integrates our 3D NAND technology with the NVMe interface to enable new levels of performance. Whether it’s a new gaming rig or a video-editing workstation, our innovative NVMe drives will power many existing and future environments that enable data to thrive,” Mark Grace, Senior Vice President, Devices Business Unit, Western Digital, addressed. Designed to boost your gaming experience, the device has a sequential read of up to 3400 MB/s for 1Tb and 500GB model, and write performance of up to 2800 MB/s. The Western Digital WD Black 3D NVMe SSD is available in three variants: 250GB, 500GB, and 1TB for Php4,900, Php9,100, and Php20,000, respectively.